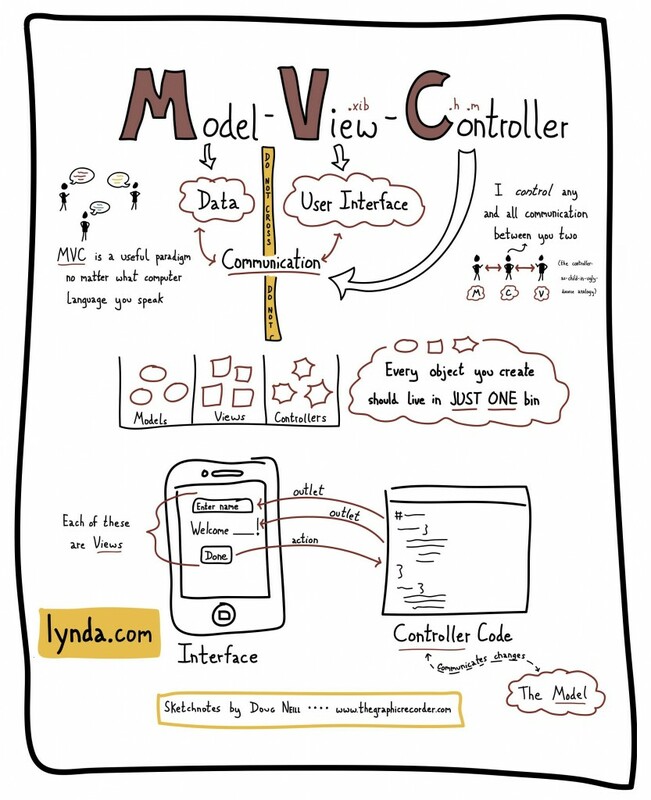 I’m continuing my entry back into the world of computer programming with some sketchnotes of another lynda.com video – this time focusing on the model-view-controller paradigm. The MVC paradigm helps you as a programmer keep the components of a computer program separated in a way that allows flexibility so that a change in one component doesn’t cause another component to stop working. It took me a while to wrap my head around this paradigm, but after much reading and practice I feel like I’m finally getting the hang of it. The video that led to these sketchnotes came from the series iOS SDK Essential Training (2012). Whether you are interested in a refresher course or are just getting started with the iOS SDK, this series is worth checking out.